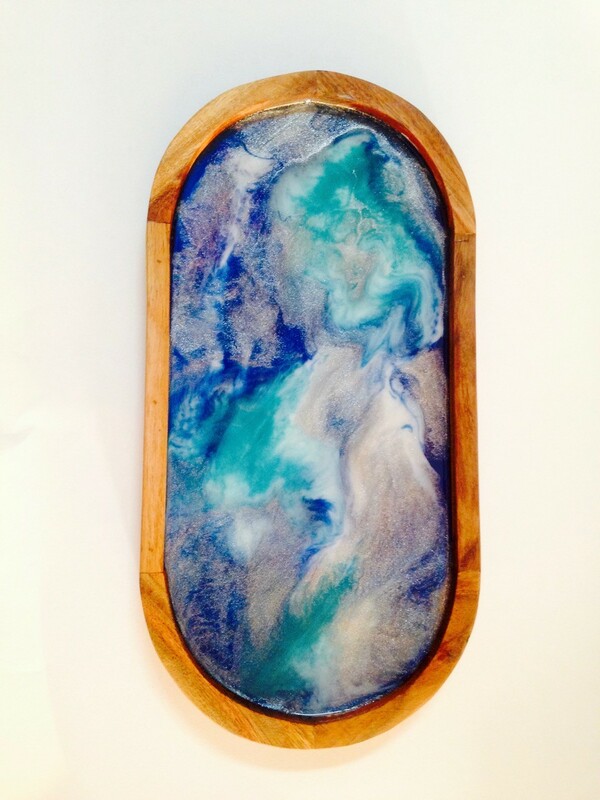 Learn to make a painted resin platter or cheeseboard, a great decorative addition to any home or the perfect gift. In this workshop you will learn how to prepare the wooden board by taping and painting on undercoat, then how to mix pigment into the resin and apply to primed wooden board. Any left over resin can be poured into moulds to make jewellery pendants. You will take home a full sized board and necklace pendants. Suitable for complete beginners. The resin used is non-toxic, all materials provided. You can pick up your resin platter or cheeseboard the following week once the resin has set.